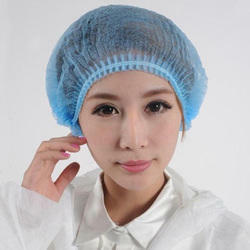 Disposable Bouffant Cap offeredcan be made available by us in different finish configuration choices and provide for perfect working support as demanded by the customers. Further, these disposable caps come in non-woven medical grade finish and are backed by CE , ISO and other certification standards. Some of its features include available in different weight choices; PP non-woven material finish; disposable, soft usage appeal; meeting demands of sanitation and quality in accordance with defined standards; provision of custom logo printing support and others. Made of light, breathable, low-linting spun bonded pp fabric. Available in white, blue & gren. Ideal for use in medical, clean room, personal hygeine, catering, food processing, pharma industry etc. We are instrumental in offering our clients assorted gamut of Baffount Caps for Hospital . 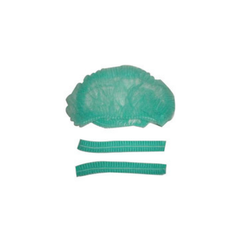 Utilized in hospitals to prevent transfer of infectious agents from surgical team to the operative wound, these cap are designed using the best basic material and progressive technology. We offer these cap in variegated designs, specifications and sizes as per the demands of our clients at budget friendly prices. Ultrasonically sealed machine made disposable LDPE Bouffant Cap. Plain LDPE - 80-90 Guage. We are an eminent name occupied in offering premium assortment of Disposable Cap for Laboratories to our clients. Additionally, client can get the offered range from us at very affordable costs. Highly protective and durable, our offered cap is designed using superb quality raw material and other material as per the defined quality standards. 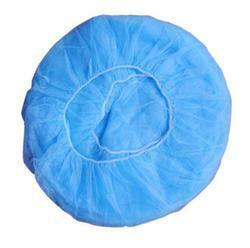 We are one of the leading manufacturer and supplier of Disposable Non-Woven Surgical Bouffant Cap.We obligate to meet the quality standards, as per the customer request. 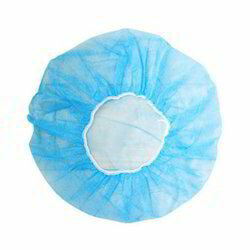 We are counted amongst reckoned names in the industry, committed towards manufacturing, exporting and importing a wide gamut of Non Woven Bouffant Cap. 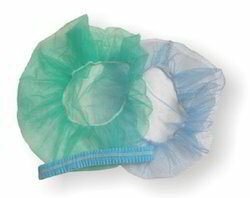 We offer Polypropylene Bouffant Caps that are highly breathable and have very less or negligible lint. The Bouffant caps are available in 18”, 21”, or 24” size and are comfortable and secure for any hair style. We offer bouffant caps packaged in boxes for clean room, medical and non-medical use. 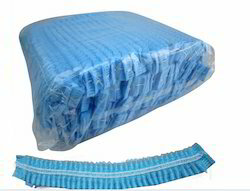 These are available in bags for clean rooms. The caps feature top for breath ability and trap perspiration, keeping it out of eyes of the user. The cap has adjustable straps for easy, comfortable and secure fit. 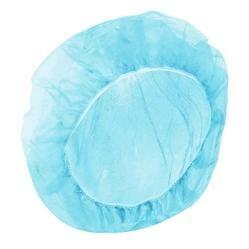 We are offering our customers an excellent quality range of Non Woven Disposable Bouffant Cap This cap is very light in weight and comfortable to wear. We provide with a production capacity of 90 lac pieces per month. High quality with a cheap price. Looking for Disposable Bouffant Caps ?